Gardening is an art. It is an activity that brings refreshment in mind and gives you a break from the monotonous life. So, as a gardener, you need to have appropriate tools to dig out the soil, cut the excess grass or remove the dry leaves from the lawn. Some prefer not to stock in the right equipments, but if you want a beautiful garden, these tools are somewhat unavoidable. It is also essential for you to keep the gardening tools in its best form. Here are 5 popular equipments that most of the gardeners have in their lawn closet. Do you want to see the garden filled with long grasses and untrimmed hedge? That is undoubtedly an unlikely view and to get rid such a panic stricken sight, all you need is a cutting tool. Hedge trimmer is commonly used for the purpose. This can be controlled manually or can powered by gasoline and electricity. Manual trimmers are usually large pair of scissors, which are environment friendly as well. On the other hand, motorized hedge trimmers are light in weight and fasten up the pace of the work with the help of an external power force. These trimmers come in a variety of sizes and types. Every gardener must have a wheelbarrow to carry the load off the back. You can use it to transport supplies, tools, compost or debris to and from the garden. These can be made from steel or heavy duty plastic. Usage of wheelbarrow can be anything. You can carry all the equipments, garden waste or fill it with other necessary things for gardening. 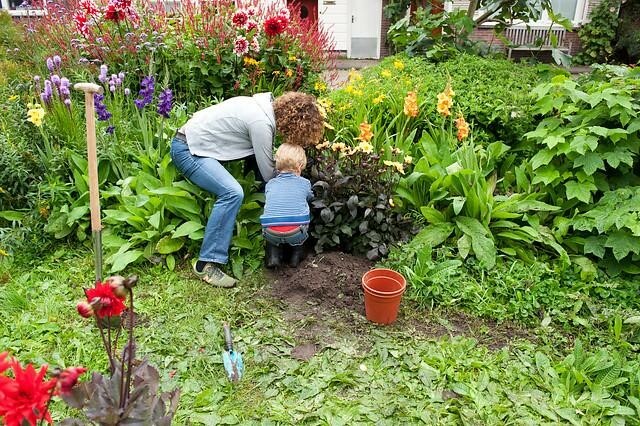 Caring for the lawn of your garden is definitely important, if you are passionate about gardening. It is the place in your home where you enjoy time with friends and family. Mowing machines can to keep your garden green and beautiful. Lawn care tools can be operated manual as well as electrically. If you do not have time to mow your garden properly, there are power tool hire services. These organizations can care for your lawn whenever required. A rotovator is used to break up the soil for planting seeds. It only turns up the earth without going deeply into it. This machine saves time and energy because you do not have to manually pull out the soil using a spade. There are various types of rotovators and the one used in garden are designed to churn up small amounts of soil, removing the weeds to incorporate fertiliser. If you have big trees in your garden, you ought to have a chainsaw in the gardening closet. This is a portable, mechanical saw that can cut off wood in a very less time. This is a very sharp instrument and must be used carefully. Protective clothing is a must when you use a chainsaw to cut through any branches of a tree. These are basic tools of gardening that can add more charm to your hobby. Besides, no one likes to see a lawn filled with shrubs, weeds and dirt. Use the right equipments and decorate your garden without wasting much of your energy. If gardening is a passion, having the basic tools is essential. You can put in your manual labour to maintain the green backyard but if you want to save time and energy, get power tool hire services to simply the process. Author Bio: Paul is passionate about gardening and he prefers to use electrical equipments over manual tools. He even encourages others to opt for power tool hire services to keep the garden in the best frame.